Stone Pros P&R Inc. is committed to providing our unique brand of service in and around the city of South Florida we are proud to call home. For over 20 years now, Stone Pros P&R Inc. has provided homeowners across the South Florida area with marble care services. We’re pleased to offer the latest technology, always delivered with a personal touch, to assure your Marble floors look great and retains its natural beauty for years to come. With our superior results, affordable pricing and knowledgeable experience in Marble Polishing & Marble Cleaning , we are proud to be your top-choice for cleaning and restoration of Marble & all natural stone surfaces. Unlike many companies that simply offer Marble Cleaning & Polishing services in and around South Florida, this is our specialty. We do things right the first time and we only use the best products. Also, our technicians are both well-trained and experienced so that they can assure excellent results. Marble is extraordinarily expensive to replace, so giving it the right care every step of the way is vital. Stone Pros P&R Inc. does just this. Don't replace your marble, Let Us Restore It! When you call us to schedule a Floor cleaning or Marble polishing, we always include you in the decision-making process--to determine what services would be best for your home. The Stone Pros technicians will carefully assess your marble and make sure that we choose the best Marble Restoration & Cleaning techniques and products for the job. We take our time and make sure you are happy with the results. Stone Pros P&R Inc. is here to revitalize your old marble stone and bring back beauty where it has faded. 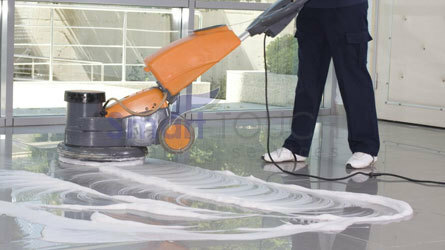 We are a one-stop marble stone restoration, cleaning, and polishing company. Our talented and experienced technicians treat every customer’s job as if they were working in their own home. Even though we're based in the big Miami ,Broward and West Palm Beach city, we have small town values. We have built our connection with the community over time, developing the reputation as a company you can trust. Our prices are affordable, and our service is always delivered with a smile.